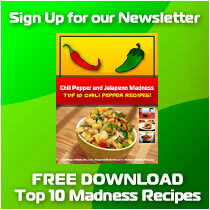 Sign Up and you'll receive a FREE Download including our Top 10 Chili Pepper Recipes, not to mention emails which include our latest recipes, news and site updates as often as you'd like. 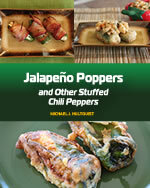 It's great to meet a fellow foodie who enjoys bold and spicy food. 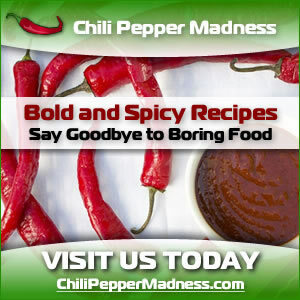 At Chili Pepper Madness, we're all about those rich, bold flavors, and while most of the time that means something spicy with chili peppers, we enjoy food of all types. As long as it is fun. And filled with flavor! 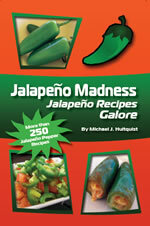 Mike is the wild chilehead who LOVES jalapeno heat but goe	s all the way up to ghost peppers and beyond. Like Scorpions. Reapers. Is he nuts? Patty is a converted chilehead and has come to love food with a hot and spicy flair, though she's not as crazy as Mike. And! She is the resident mixologist, so keep an eye out for her fun drink recipes. 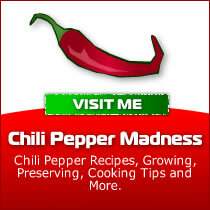 You'll find all of this on our web site, with plenty of recipes to explore. We also share information on growing chili peppers, preserving and more. We will be sending emails along to share our latest recipes and adventures in the kitchen. We hope you enjoy them. Or just email me any time!